If you're not a slave to vehicle stereotypes we think you'll like the Volvo S60 for its combination of unprecedented safety, substantial fun-to-drive and crisp interior and exterior design. That it is a pretty reliable and spacious vehicle. The parks for the car are very hard to get the check engine light has been on since a week after we got the car the same problem with the solenoids happened every year it has a rough ride you feel all the bumps I love the sunroof it is pretty reliable if you take care of it. Very reliable, comfortable driving vehicle, leather interior. 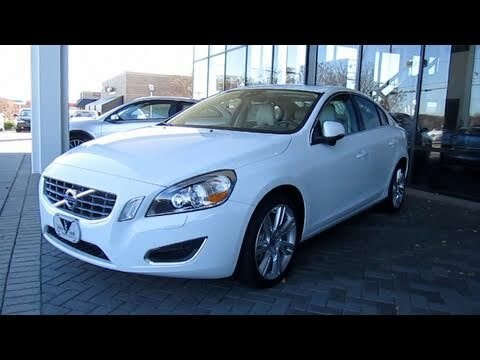 The Volvo 2011 s60 model has been very reliable, dependable, and I maintain vehicle as instructed. Very comfortable car to drive, great features such as blis, Bluetooth, memory on car seat. The Volvo S60 is a luxury car. My Volvo S60 has the most comfortable seats of any car that I have ever been in. I love the leather interior. My headlights have their own windshield wipers! I really like my car.